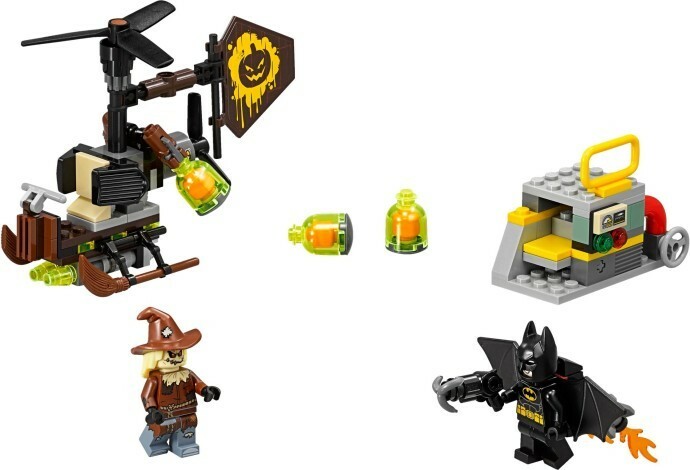 Team up with Batman™ to stop Scarecrow™ spreading fear in this action-packed THE LEGO® BATMAN MOVIE: Scarecrow™ Fearful Face-off set. The Gyro-Copter features 2 spinning rotors, an adjustable rudder and 2 bomb-drop functions to drop the included fear gas bomb elements. 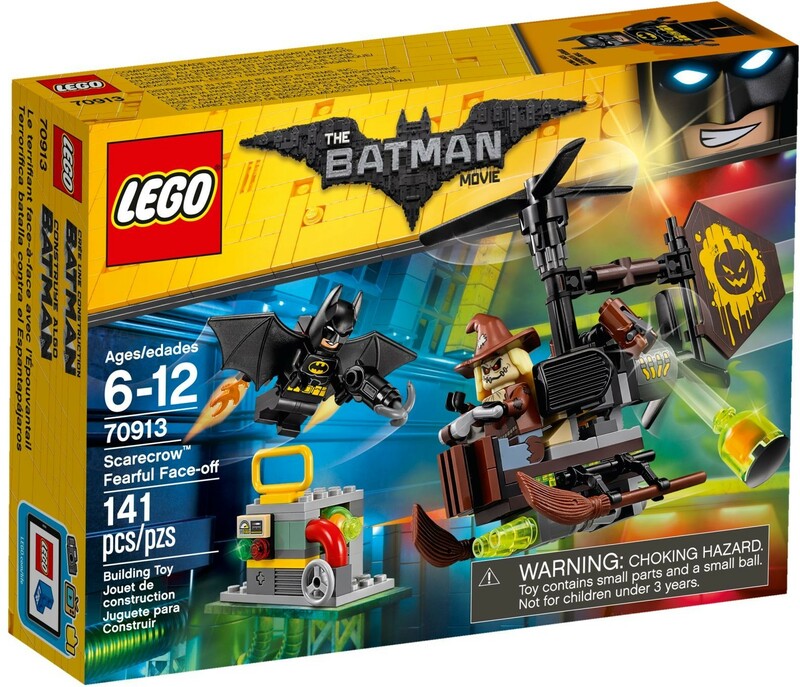 Attach Batman’s jetpack with Batwings and adjustable boosters, and arm him with the grappling gun to role-play an aerial battle. 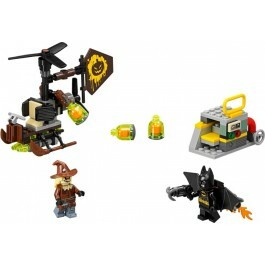 The set also features a power plant mini build with an explode function for added jeopardy, plus 2 minifigures. 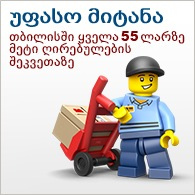 Includes two minifigures: Scarecrow™ and Batman™. 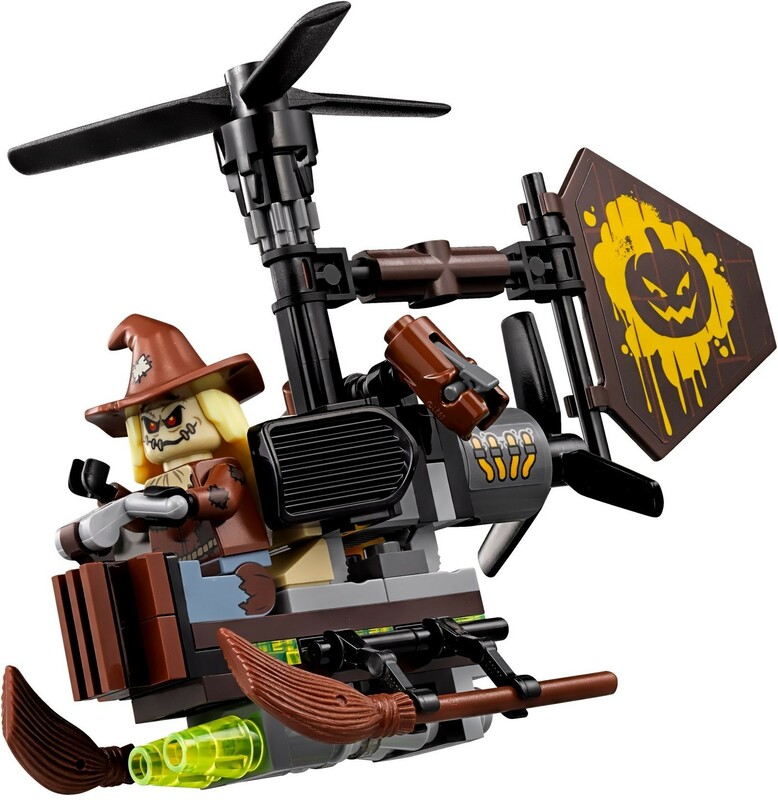 Scarecrow’s Gyro-Copter features top and rear spinning rotors, an adjustable rudder, two bomb-drop functions and three translucent-green fear gas bomb elements. The power plant mini build has space for a fear gas bomb element and an explode function. Also includes Batman’s jetpack with Batwings and two adjustable boosters with translucent flame elements. Gyro-Copter measures over 3” (9cm) high, 5” (13cm) long and 1” (5cm) wide. Power plant mini build measures over 1” (5cm) high, 2” (6cm) wide and 1” (3cm) deep.